WHAT IS CHIPOTLE? 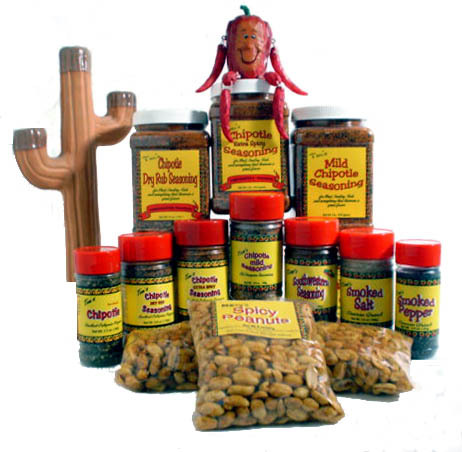 Jalapeno peppers are smoked and dried then ground into a flavorful and unique spice. IS IT HOT? Yes and no....the pure ground is 5 to 7 on the heat scale. Our other Chipotle Seasonings vary from blast your socks off to no heat at all. There's a spice for every taste! Ask for Tom's at your local supermarket.